Almotamar.net - The General of Yemen Youth has issued Wednesday a statement in which it called on all political powers and segments of the society to respond to initiative of President Ali Abdullah Saleh in sensing the duty of the national responsibility on shoulders of all in preserving security and stability of the homeland and its progress and prosperity. It has affirmed the necessity of blocking the road against any conspirator seeking to implement this wicked agenda. 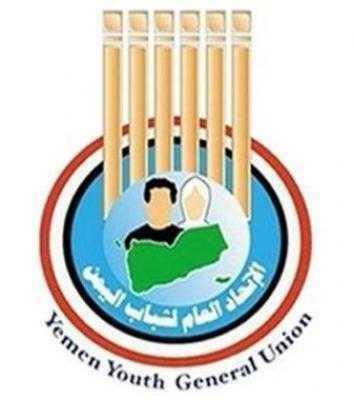 The General Union of Yemen Youth also supports and values the national initiative and the serious and responsible stand behind it to protect the accomplishments achieved for the people in the revolution, the unity and the developmental gains.